188 DAYS TO GO. 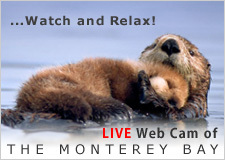 . .
Now, there are subtle changes happening to your body that only you will notice. Your baby isn’t big enough to give you an obvious pregnancy belly, but you’ll definitely notice your waistline become thicker. The Hair often starts to emerge at this stage on the head and eyebrows. The Brain and central nervous system components have developed but continue to refine functionality. The Facial Features are taking shape and becoming more defined. The Arms have grown long enough to allow your baby to touch their face. 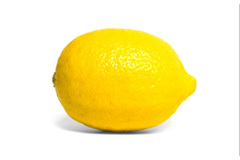 Your baby is about the size of a lemon during week 14. At this stage of pregnancy, many women feel re-energized and have a strong sense of well-being. Healthy eating is very important, so be clued in about the best food choices. In particular, your body needs plenty of protein; and your baby needs it too to sustain its rapid growth. However, you may still be up and down emotionally. This stage of pregnancy can be a very emotional time. 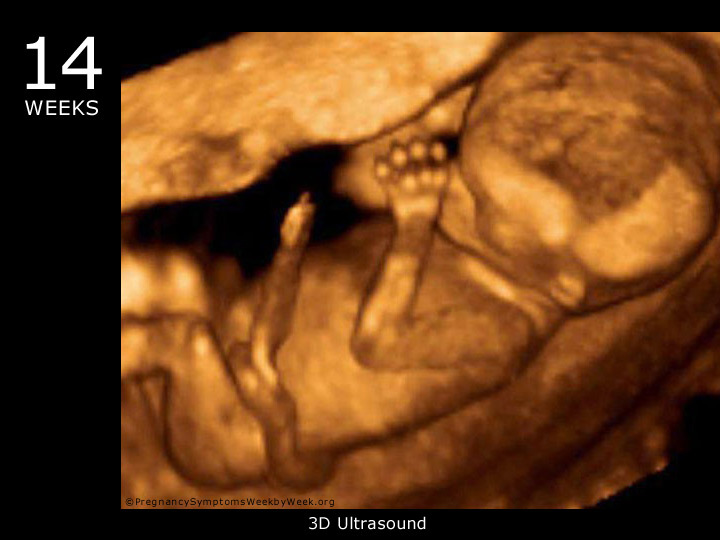 Reaching the second trimester is a huge milestone and coincides with seeing your baby for the first time on the scan. Now you know for sure that you really are going to have a baby. A good outlet for all this emotional energy is exercising, which you may find easier now that you’re over the hurdles of the first trimester. Exercise releases endorphins and so can improve your emotional as well as physical well-being. Always exercise safely and don’t try to really push your physical limits. Although you are noticing all of these changes, your belly is unlikely to be prominent for a few more weeks. If you have had a pregnancy before, you may “show” earlier, however. At this stage, some women complain of feeling fat, not pregnant. However, if you have had a pregnancy before, you may “show” earlier. Make sure that you choose the right clothing that makes you feel good about yourself. In the second trimester you may be feeling better, and in turn you may be sleeping better. However you may experience heartburn, restless leg syndrome, or extreme tiredness. Discuss such discomforts with your doctor to come up with the best solutions for yourself and your baby. 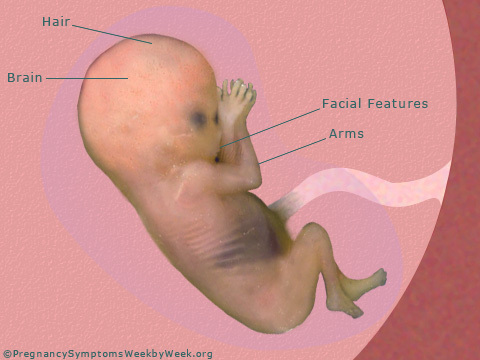 At this time, the core of your baby’s central nervous system has been formed. The growth of the nervous system now enters its most active phase. Reflecting this, the head accounts for half of the entire length of the baby. Both the nerves and their supporting cells increase in number. Although most of the nerve cells are produced during pregnancy, the supporting cells are increasing in number. Your baby is getting stronger every day.